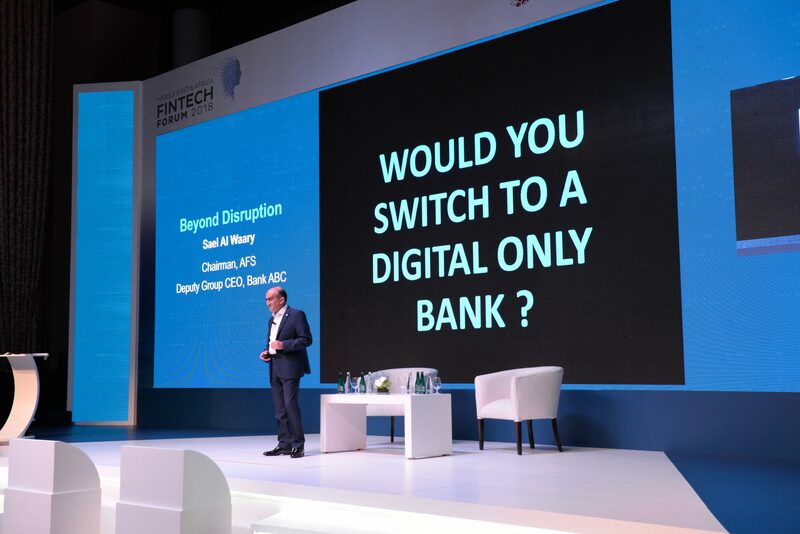 More than 400 delegates will attend the second Middle East & Africa Fintech Forum, which will be held in Manama, Bahrain, tomorrow under the theme Beyond Disruption. The forum will be held under the patronage of the Central Bank of Bahrain and hosted by Bank ABC and Arab Financial Services (AFS). Representatives from the central banks of Bahrain, Jordan and Egypt will attend the forum. 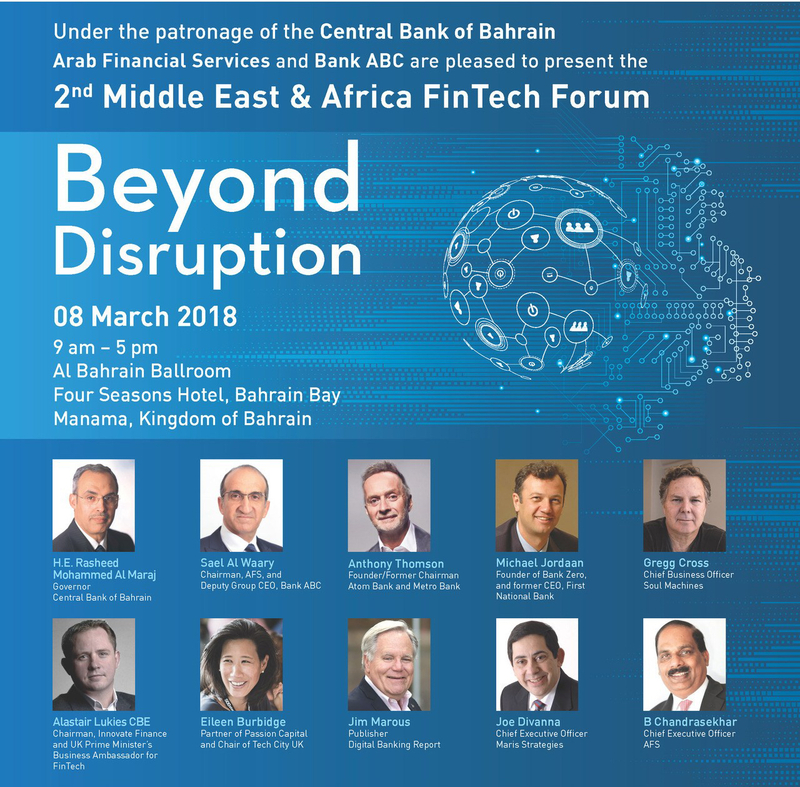 HE the Governor of the Central Bank of Bahrain will be inaugurating the conference discussions, while the opening address will be presented by Mr. Sael Al Waary, Chairman of Arab Financial Services and Deputy Group CEO of Bank ABC. Beyond Disruption brings together leading and well regarded global experts and industry leaders in a highly engaging format of talks and discussions addressing the most pressing issues in the fast evolving FinTech landscape. Representatives attending the forum include the central banks of Jordan, Egypt and Bahrain and 40 banks and financial institutions from the region. The conference will tackle the biggest disruptors for banks in the near future. From the emergence of challenger banks to the cutting-edge advances in Artificial Intelligence to the rise of cryptocurrencies and the drive for greater financial inclusion across the globe. Prof. Joe DiVanna, CEO, Maris Strategies, who will moderate the FinTech Forum. Dr. Saeeda Jaffar, MD and Co-Head, Alvarez & Marsal Middle East Office. Mr. Alastair Lukies CBE Founding Partner Motive, UK Prime Minister’s Business Ambassador Fintech. Mr. Alex Tapscott Co-founder, Blockchain Research Institute Co-author, Blockchain Revolution. Mr. Jim Marous Founder and Publisher Digital Banking Report. Ms. Eileen Burbidge Co-founder of Passion Capital UK Treasury Speical Envoy for Fintech. Mr. Justin Sykes Founder and CEO Innovest Advisory. Ms. Tala Fakhro Executive Director Economic Development Board. Mr. Emile Cubeisy, Partner, Silicon Badia. Mr. B. Chandrasekhar Chief Executive Officer Arab Financial Services.